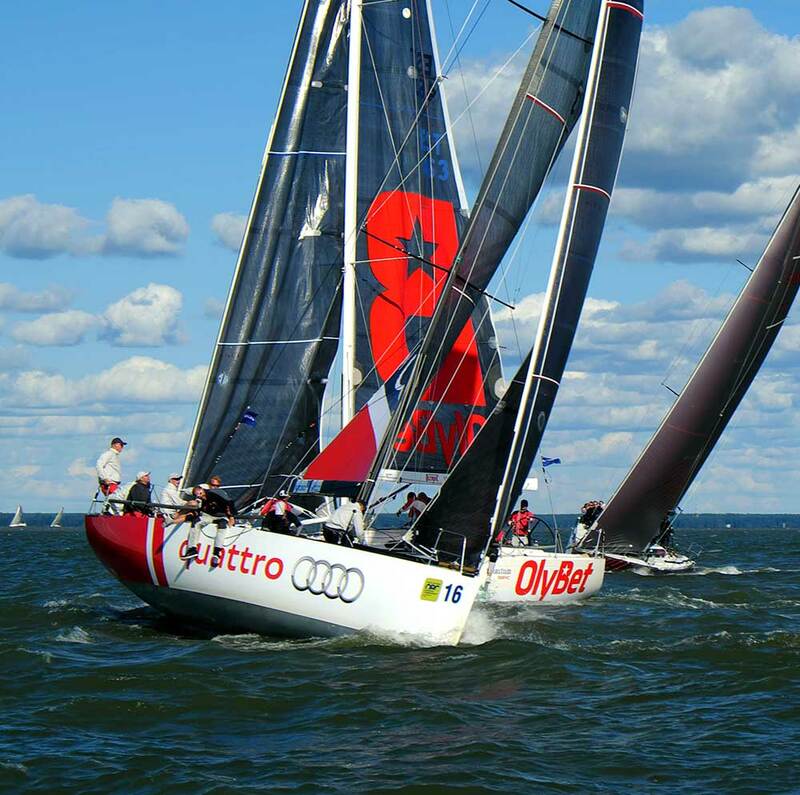 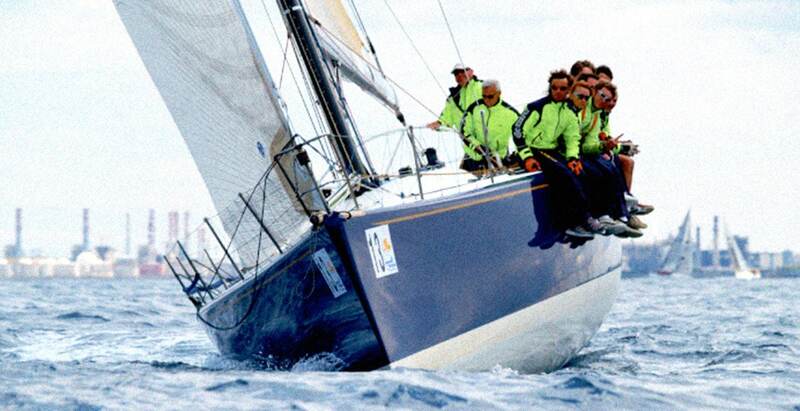 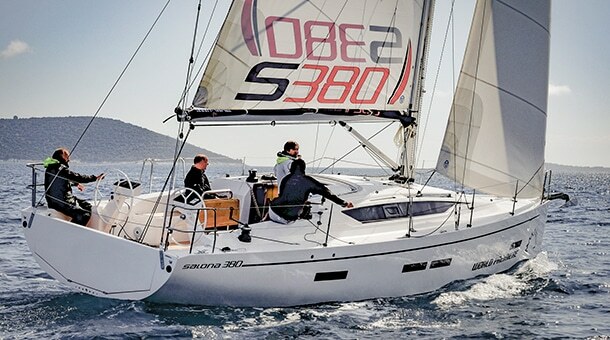 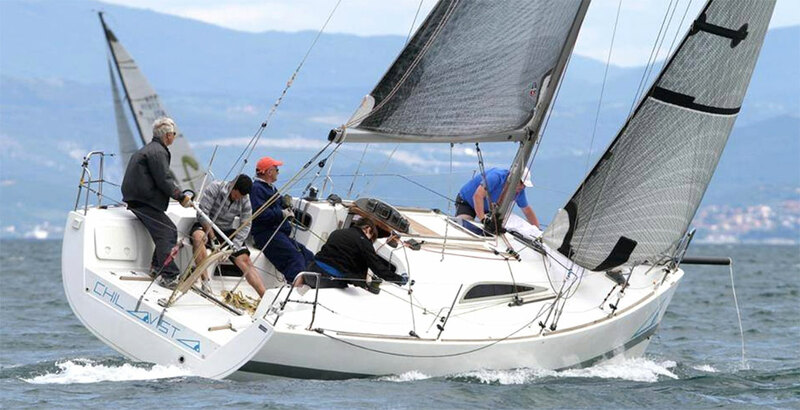 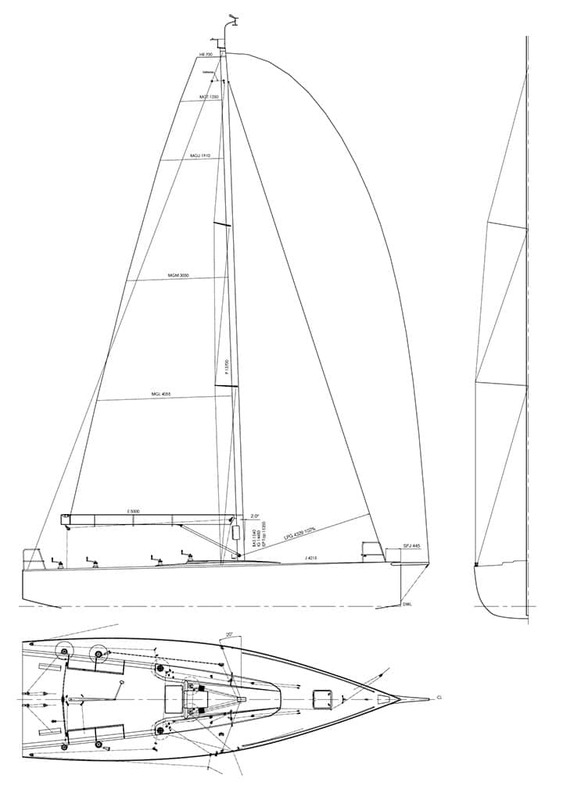 The Next 37, launched in the spring of 2014, is a light displacement racing boat designed to compete in ORC races. 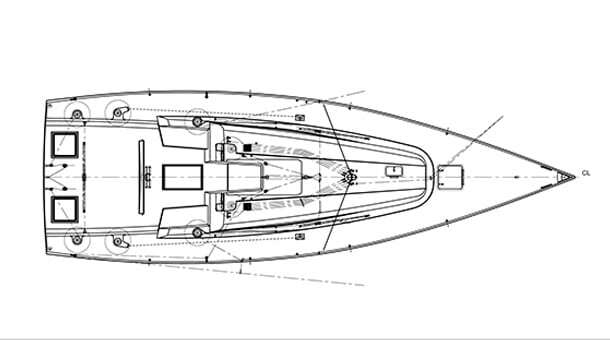 In comparison to our previous designs of the same class, this boat has more flared hull sections. 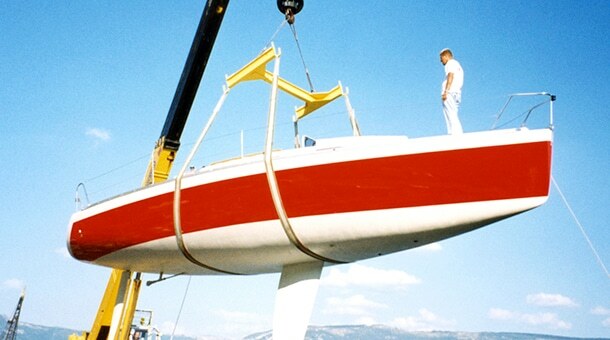 Structurally speaking, the boat has been designed to have the right stiffness to withstand the natural loads. 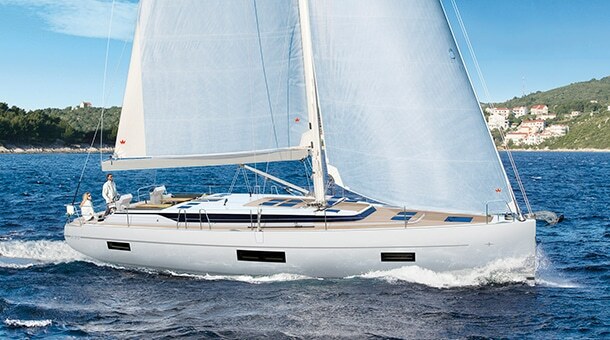 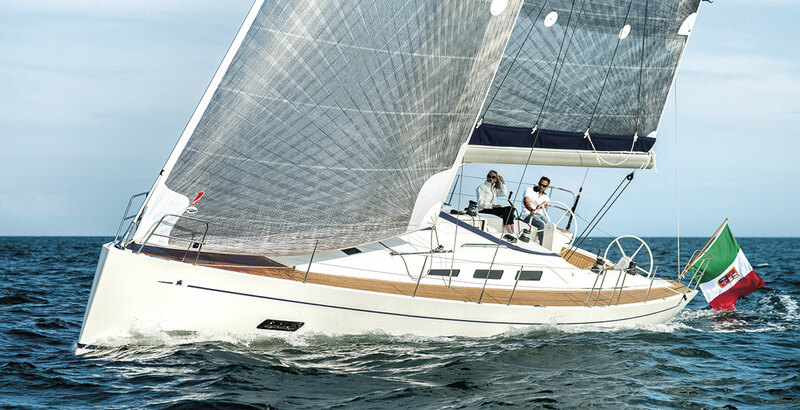 The hull has been laminated with an optimized lay-up made of infused unidirectional basalts fibers. 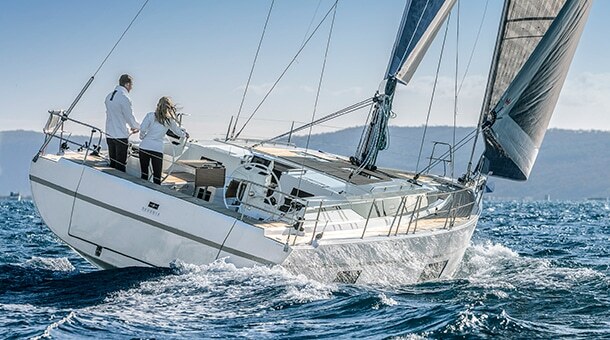 Different types of core have been used on the different areas of the hull and deck to assure the proper balance between weight and stiffness, for example in the forward area, where there are high slamming loads, a high density core has been used in combination with single skin laminate. 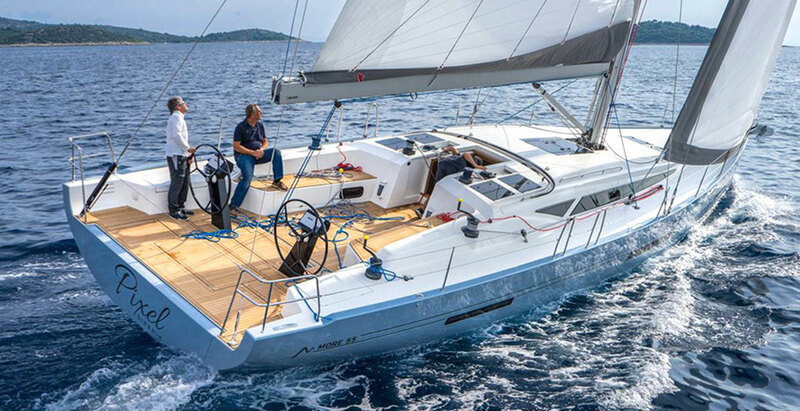 All the interiors are thought to combine furniture with the structure and save weight, for this reason they are all made with composite material. 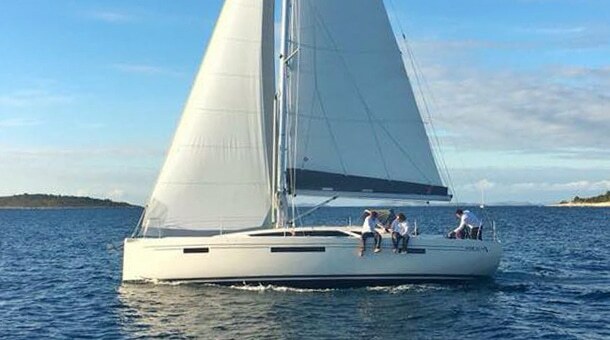 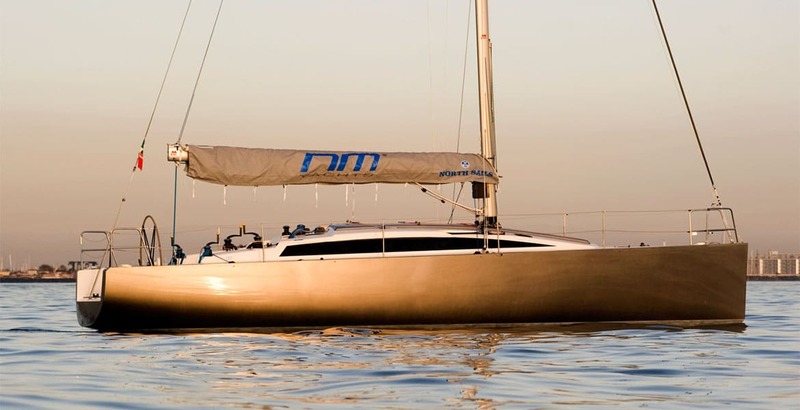 The central structure of the boat is made by a stainless steel frame which is designed to take the high loads deriving from the mast, shrouds and keel and transfer them smoothly to the hull. 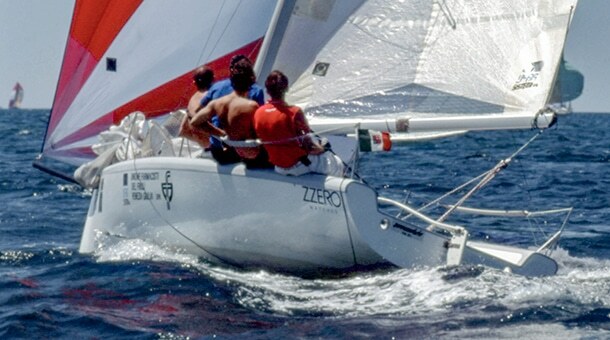 This frame is connected mechanically to the bulkheads and the surrounding structure and it is also over laminated and tabbed to the hull. 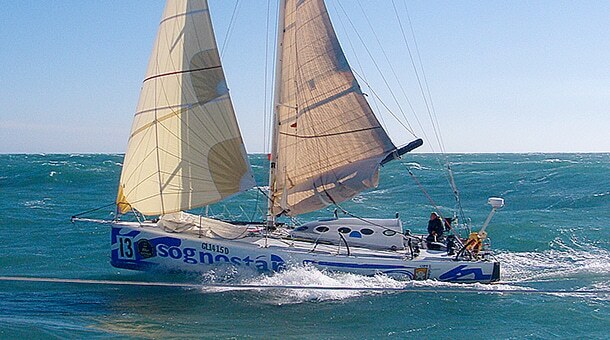 The remaining structure of the boat are made by longitudinal and transversal stiffeners containing carbon unidirectional fibers and laminated directly to the hull. 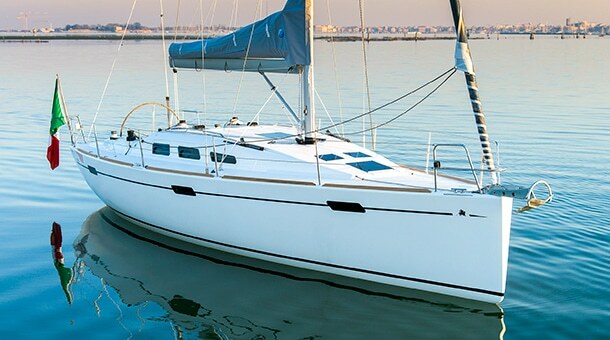 All the bulkheads are made with composite material and they are bonded and tabbed to both hull and deck. 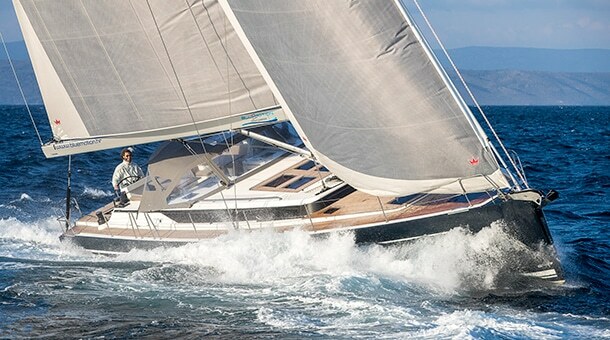 The appendages have been designed for the best hydrodynamic efficiency and they have been optimized with the best CFD techniques. 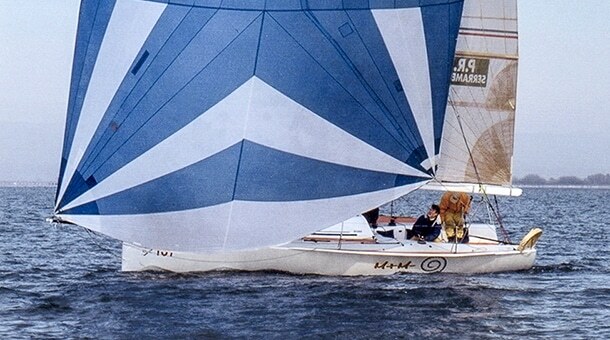 The keel is assembled with a cast iron fin and a lead bulb and it is milled to obtain the proper designed shape. 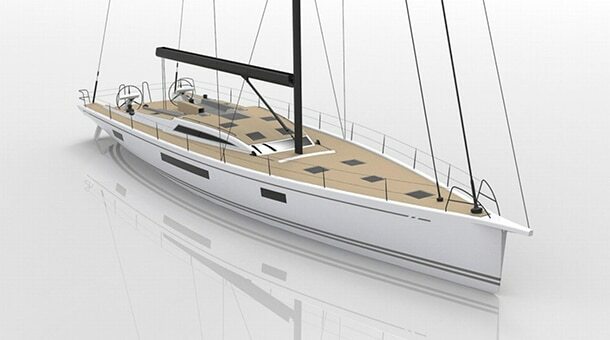 The sailing plan has been developed in collaboration with the North Sails designers and optimized with the CFD techniques. 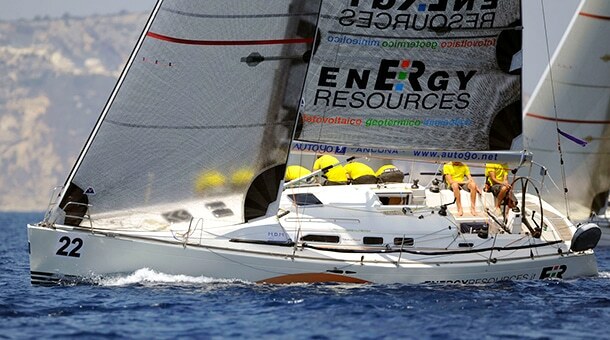 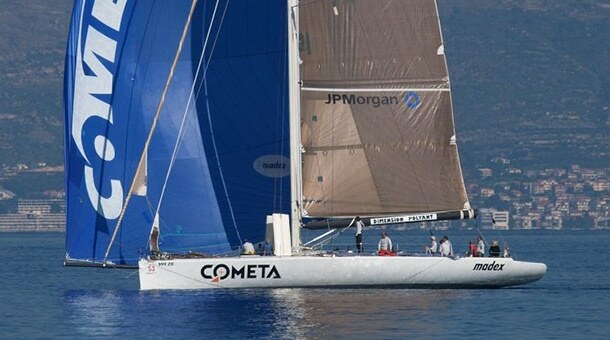 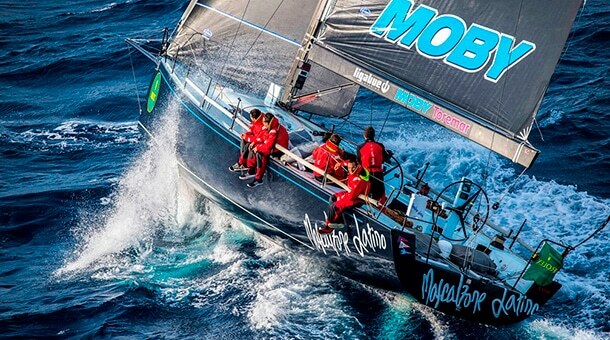 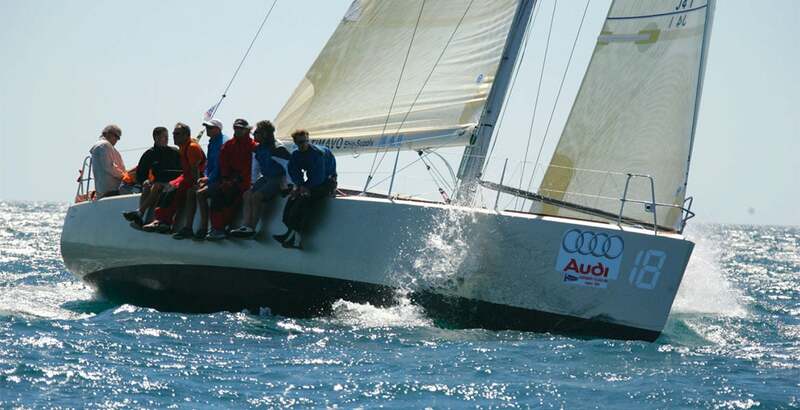 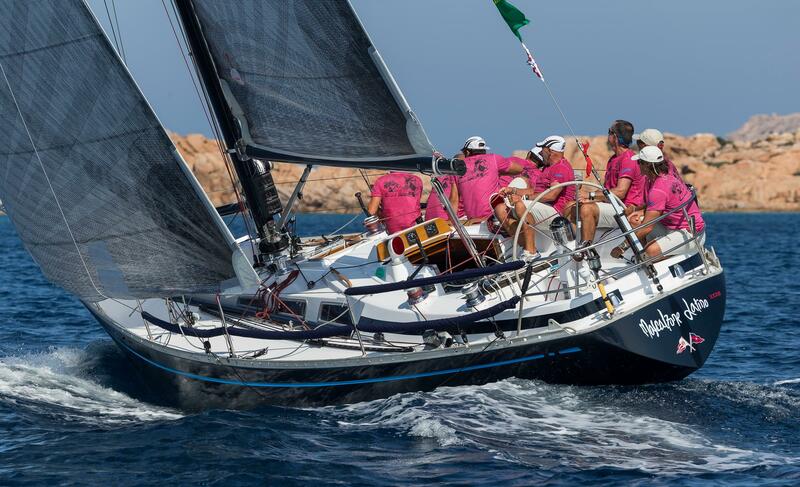 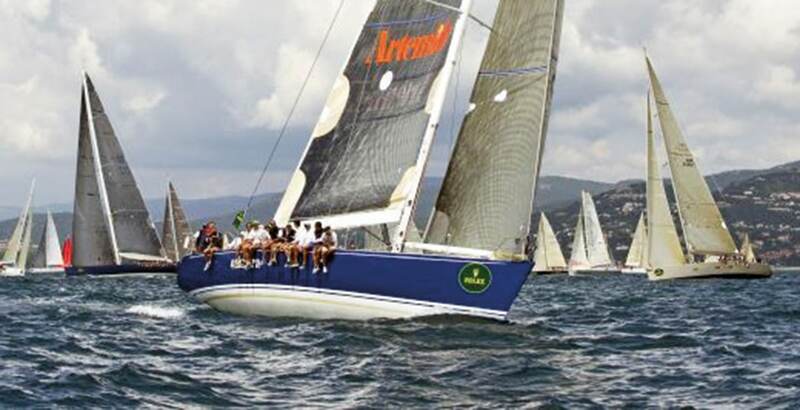 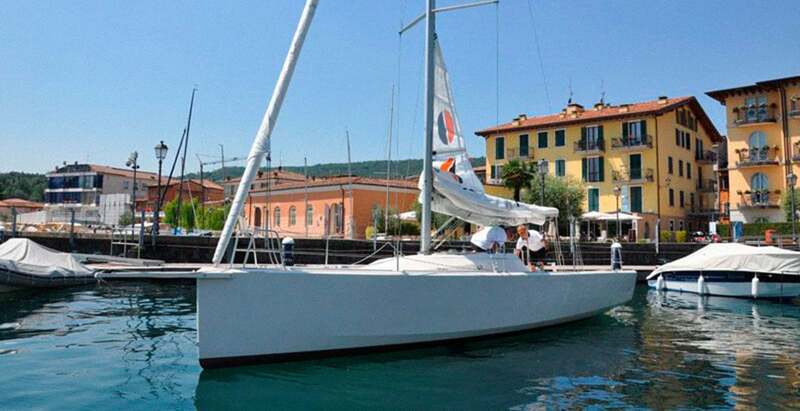 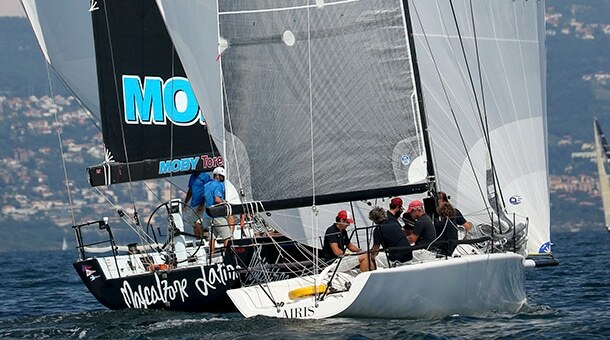 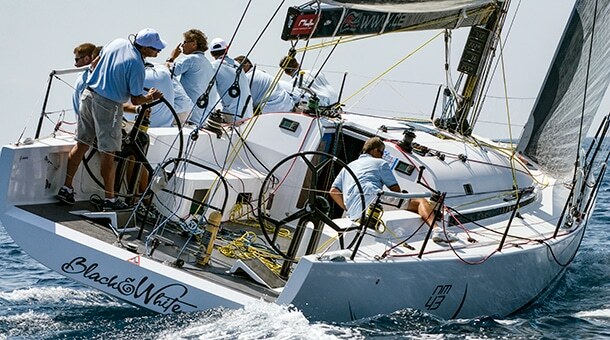 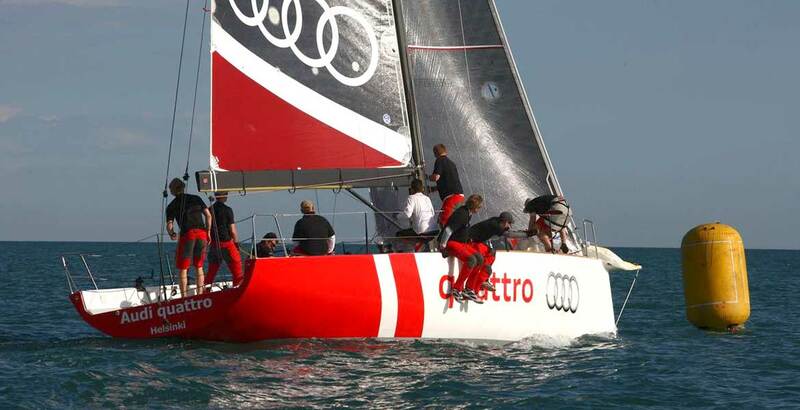 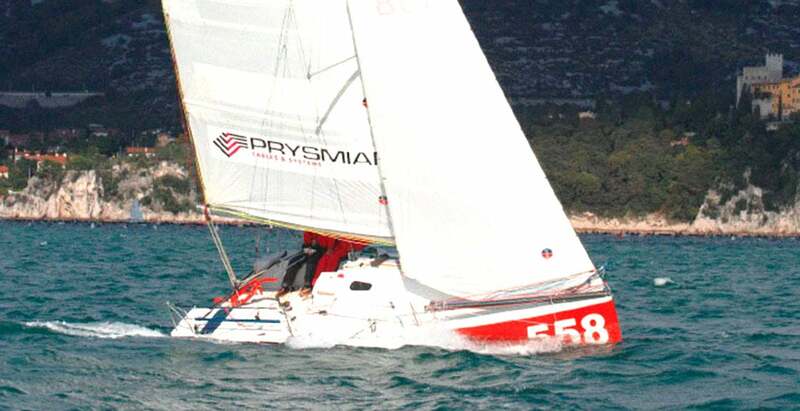 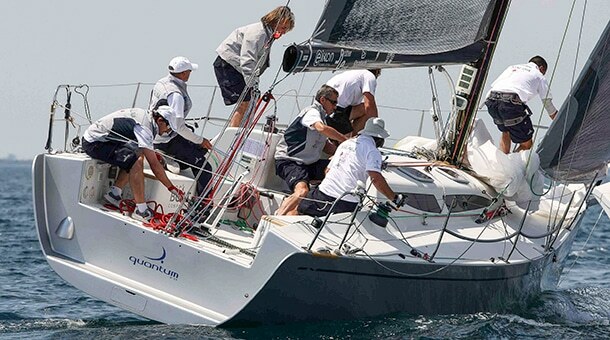 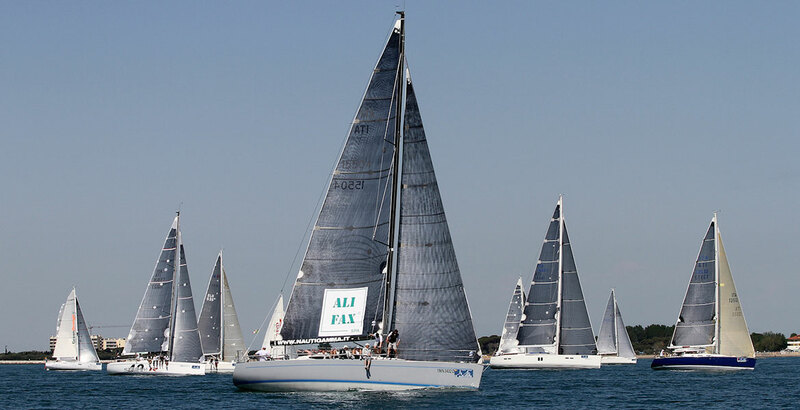 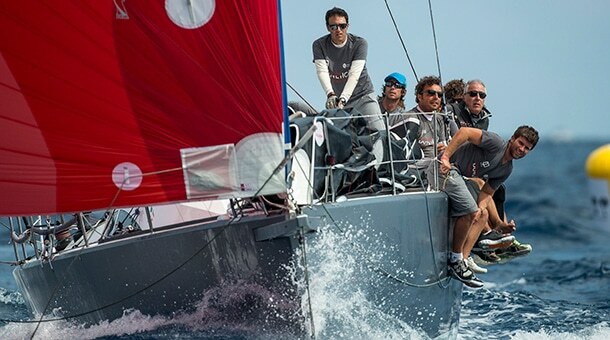 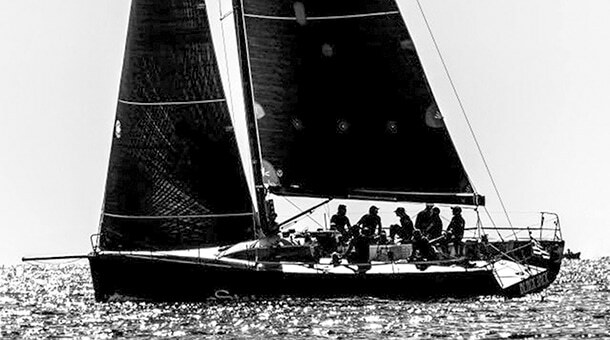 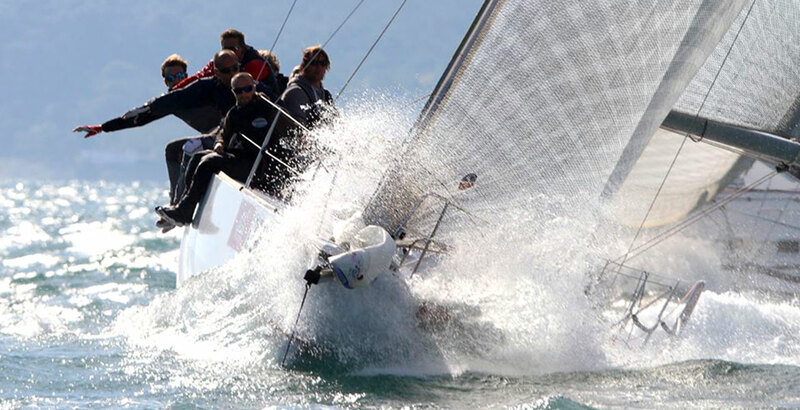 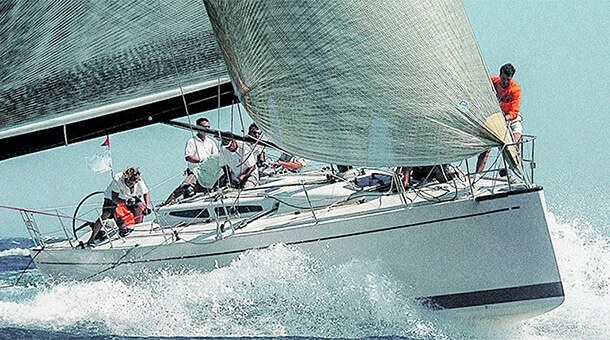 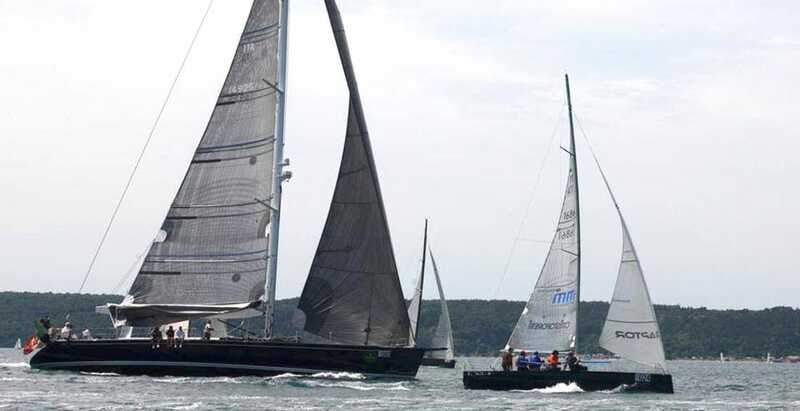 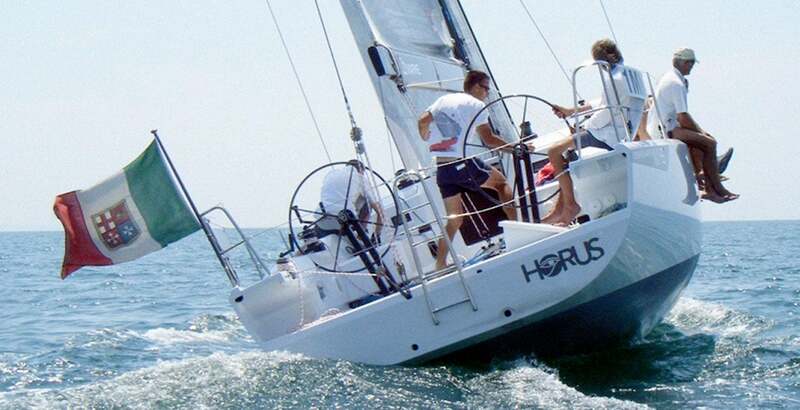 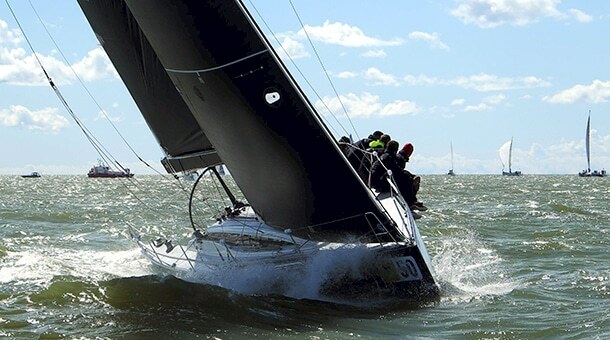 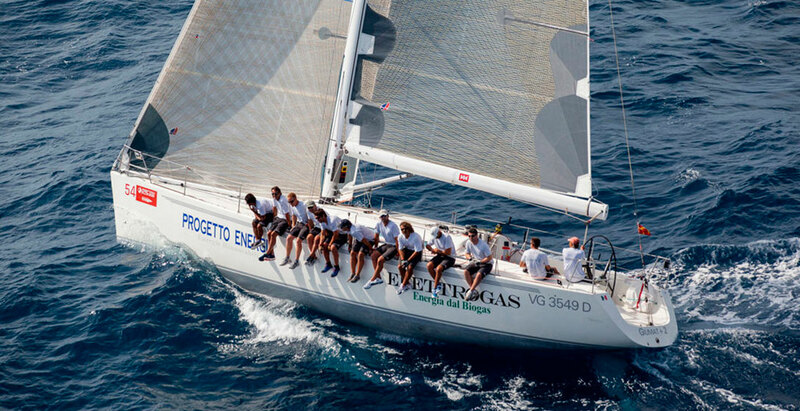 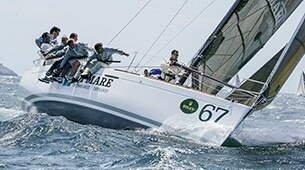 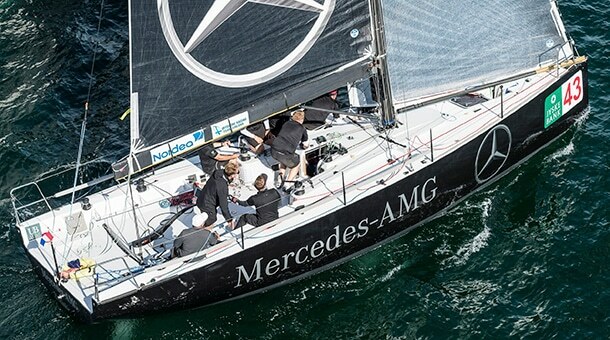 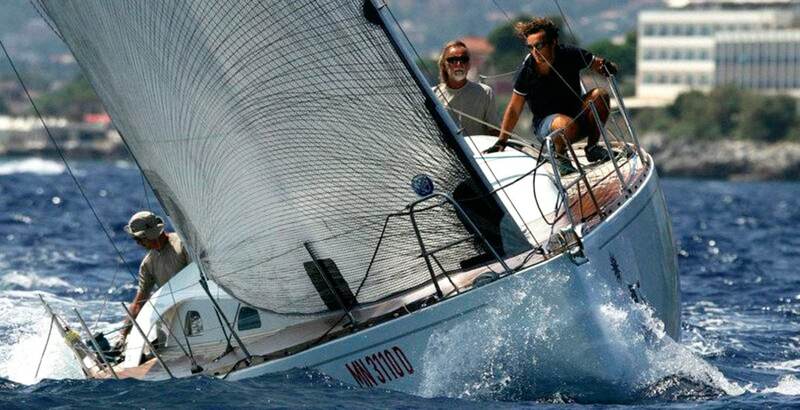 The Next 37 new concept was to design a light displacement boat for the smallest ORC class; the rule changes in 2014 and the impossibility to race in the class for which the boat was designed, leads in 2015 to replace the mast with a taller one, together with a big squaretop main and in 2016 to a weight reduction and to the replacement of the keel with a deeper 2.3 draft.